Our Antenatal clinic is available every Tuesday between 08.30 and 11.00. To contact our midwife call 07990 521791 or 07825 385690. We are pleased to be able to offer anticoagulation monitoring to our patients taking Warfarin. Please contact reception for details. Cervical smears should be done regularly from the ages of 25 to 65 and you will receive an invitation when this is due. All those aged 25-49 will be called every three years, and all those aged 50-64 will be called every five years. Please check with the practice nurse if you feel your appointment is overdue or you feel such examination is necessary when moving into the area. It usually takes up to 3 weeks for the result. Patients are informed of their results in writing, with an appropriate explanation. If, however, you have not heard from us within 4 weeks of your test please contact the practice administrator. Regular developmental checks for the under fives are undertaken by the doctors and health visitors and vaccination clinics are held by the practice nurses. It is important that all children undergo these checks and are fully immunised against childhood diseases. Child Health Promotion Clinics are held: 1st and 3rd Wednesday from September 2018 between 10:00 to 11:45. Child health clinics are for well children only. If your child is unwell, you will need to make an appointment to see your doctor during normal surgery. The practice has limited access to an on-site counsellor to whom referrals for very specific problems may be made. All doctors and nurses are available for lifestyle advice and health promotion. We have dedicated nurse-led clinics for diabetes, as well as nurse-led clinics for coronary heart disease, stroke, hypertension, asthma, COPD and epilepsy. Weight management is a priority for the practice and all nurses can provide support for patients on a weight loss programme. Some partners hold the Family Planning Certificate and offer a full range of family planning care (contraceptive pill, IUCDs, caps and injectable contraception). Emergency contraception is also available. Your initial appointment must be made with a doctor but subsequent appointments can be made with the practice nurse if you would like a repeat prescription. If you have a significant problem, such as wanting to change your pill, it would be more appropriate to see your doctor. Coils are fitted by Dr T Moorhead and Dr P Crehan. Emergency contraception is also available from your GP or our family planning nurse. Please remember that all our services are entirely confidential. Our practice nurses run flu clinics during October and November. 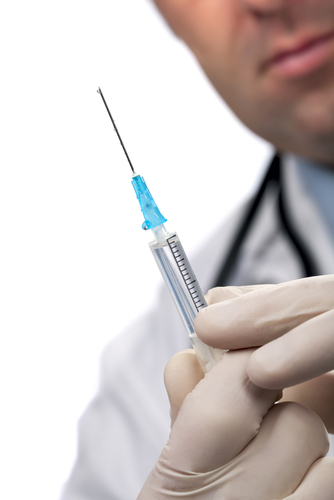 Injections are recommended for those over 65 or with chronic medical conditions. At-risk patients are also invited to have a pneumococcal vaccination. The Department of Health recommends that children should receive two doses of the MMR vaccine: one at 13 months and a booster at three and a half to five years. Over 500 million doses of MMR have been used in over 90 countries around the world since the early 1970s. The World Health Organisation recognises MMR as a highly effective vaccine with an outstanding safety record; a fact that is endorsed by all the major health organisations in the UK. There is no evidence to support a link between autism, inflammatory bowel disease and the MMR vaccine. The use of single vaccines in place of the MMR puts children and their families at increased risk; the combined vaccine is safer as it reduces the risk of children being infected by the diseases while waiting for full immunisation cover. We would encourage any parent with concerns regarding the MMR vaccine to discuss it with their GP, health visitor or practice nurse. Our practice performs minor surgery. This should first be discussed with your doctor during a normal appointment. Advice and all travel immunisations, including Yellow Fever, are available from the practice nurse. Please make an appointment if you wish to discuss this at least six weeks and preferably three months, before you intend to travel. More information is available on the above tab.